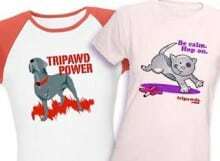 We see it all too often around here: a dog or cat is immediately dismissed as an amputation candidate because of their age or other health condition. Thankfully, we also see how second opinions from another veterinarian can give those same animals more quality time with the humans they love. 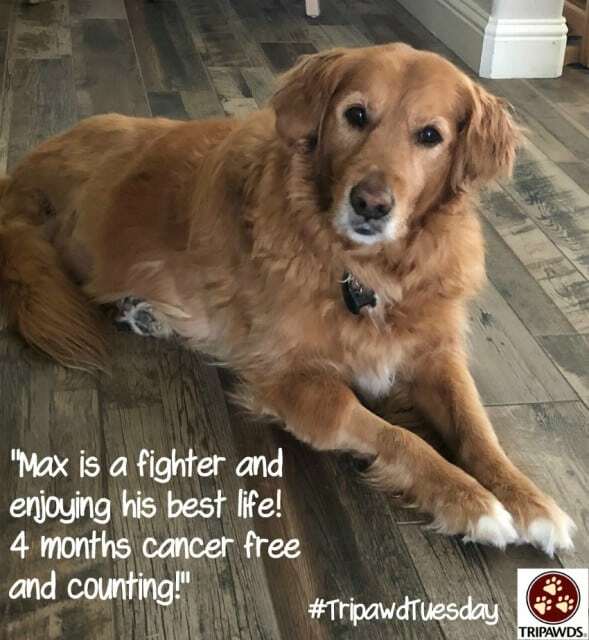 Max is one such pup and today we are thrilled to share his Tripawd Tuesday cancer victory story! Max is thriving because of a 2nd opinion! 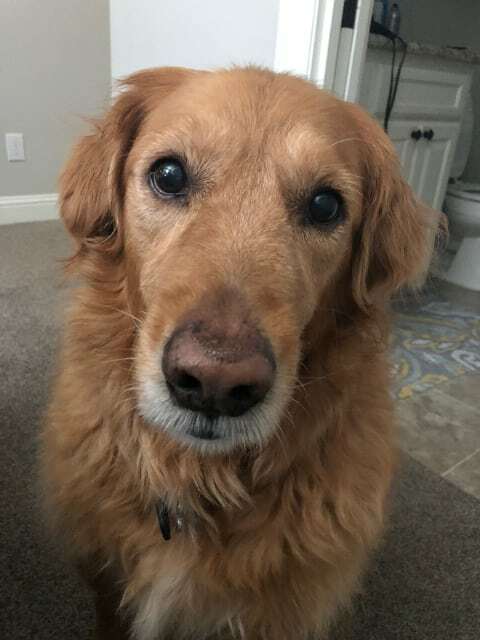 Please join us in a round of applawse for Max’s victory, as told by his mom Jennifer from Texas. 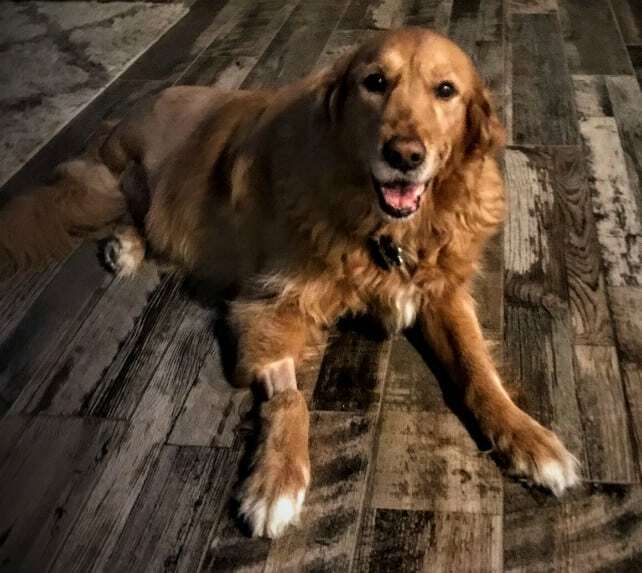 In May of 2018, our sweet Max was diagnosed with Osteosarcoma in one hind leg and a torn ACL in his other hind leg. Although his regular veterinary referred him to a veterinary oncologist, their preliminary recommendation was palliative care. So basically, make him as comfortable as possible since aggressive treatment would be too painful given his 10 yr age and injured leg. However, his oncologist had a different opinion and quickly assured us that amputation and chemo therap was the best road. Initial lung scans did not show any signs of cancer so we went with the oncologist recommendation. Recovery wasn’t easy, but he made it! Max is enjoying his best life! The first week after amputation was rough with many doubts about whether we made the right choice. Max didn’t move around much and needed assistance to use the restroom. His remaining hind leg appeared weak and we were worried he wouldn’t recover. Fast forward to August 2018 and 4 sessions of chemo later and he is running around, playing with his siblings, and navigating his surroundings. Although he still chooses not to go up stairs, he most definitely could if he wanted. Lung scan still show no signs of cancer! Max is thriving and loving life! We are thankful for the time we have bought and pray for some additional years with him. The chemo has had minimal side effects. He still is a little slow moving after an exciting doctor visit with all the jumping and running but that is most likely due to his torn ACL. We could not be happier with our decision as our Max is a fighter and enjoying his best life! 4 months cancer free and counting!